Eugenio Boer is a pilgrim, of Dutch father and Sicilian mother. But a pilgrim following which religion? Well, that of curiosity. He spent the first 7 years of his life in the Netherlands. He kept his tie to Italy while remaining spasmodically glued to his grandmother’s apron, covered in flour, when she moved with the Boer family after she was widowed. His parents always let him do what he wanted to, but only after he would do what they wanted. That is to say school, studying, a diploma. The result of this equation is an accountant who at the age of 13 was already behind the stove. Child exploitation? When passion and the stubbornness of an adolescent is at stake, trotting out rules and conventions is never a good idea. It’s best to second so much energy and pray it is in good hands. Hands that can direct him on the track that transforms energy into work and curiosity into talent, those of Alberto Rizzo in Palermo, Kolja Kleeberg in Berlino, Gaetano Trovato in Colle Val d'Elsa, Norbert Niederkofler in Val Badia. These eight hands, in turn, have moved, explained, tapped on the shoulder, praised, greeted, welcomed and accompanied a half blood with the x-factor. The first taught him that high cuisine is a life-style, the second absolute rigour, the third elegance and beauty, the fourth not to be a slave of any scheme. It looks like the initiation rite in some order of knights. 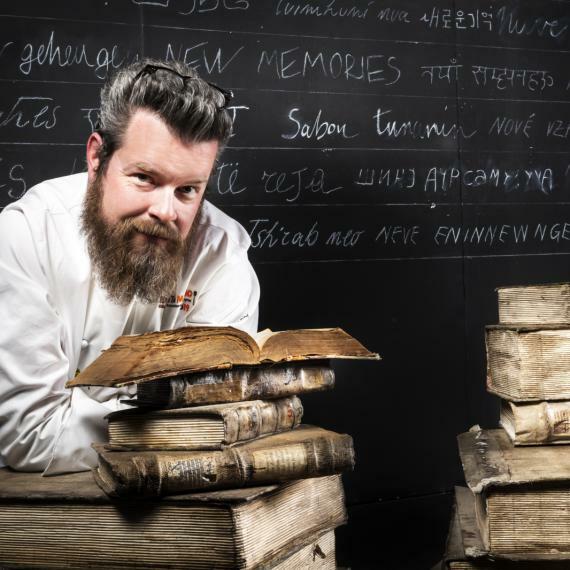 It wouldn’t surprise us, in a few years, to learn that Eugenio Boer truly belongs to a superior order - «I’m not one who talks a lot, but I enjoy listening to others and transforming my memories and that of others into dishes» - that is to say the superior order of someone who doesn’t cook for himself. Of someone who creates edible monuments to put on the table of other pilgrims: yes, indeed, not just high-cuisine tourists, but pilgrims who, thanks to their devotion, will be aware of being witnesses of the magnificent moments they have lived. Born in Rapallo in 1978, he starts to be serious at L'Osteria dei Vespri in Palermo. He then spends 2 years at the Vau in Berlin. He returns to Sicily as sous chef, again at Rizzo. In 2009 he’s at Arnolfo, in Colle Val d'Elsa. Here he meets Davide Mingiardi, now owner of Enocratia. After 8 months at the Leggenda dei Frati in Castellina in Chianti, he moves to Val Badia at St. Hubertus. At the beginning of 2012 he’s called by Mingiardi to work as chef at Enocratia. In 2016, he opens "his own" restaurant in Milan: Essenza.